Paul Wehman, Ph.D. is the Founding Editor of the Journal of Vocational Rehabilitation. His background is highly interdisciplinary and he is internationally known for his pioneering work in the beginning of supported employment in 1980, a rehabilitation intervention strategy which has facilitated millions of persons with neurodevelopmental disabilities, brain injury, mental illness and spinal cord injury in countries all over the world to gain competitive employment for the first time. Dr. Wehman holds his primary position as a Professor in Physical Medicine and Rehabilitation at the Virginia Commonwealth University with joint position in the Department of Rehabilitation Counseling and the Department of Special Education. Dr. Wehman serves as Director of the VCU Rehabilitation Research and Training Center on Employment and Director of the VCU Autism Center for Excellence (ACE). He has researched, written, instructed and presented extensively on issues related to transition from school to adulthood and special education as it relates for young adulthood. He has published more than 220 articles, 131 book chapters, and authored or edited 43 books. He has most recently been the recipient of the 2017 Leader of the Year Award from the Virginia Division of Career Development and Transition. 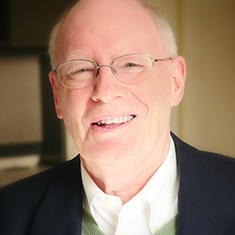 In 2014 , Dr. Wehman was named the recipient of the Princeton Lecture Series Fellowship through Eden Autism Services Past honors include the Joseph P. Kennedy Jr.-Foundation International Award in Mental Retardation, Mary Switzer Fellow for the National Rehabilitation Association in 1985, and the Distinguished Service Award from the President's Committee on Employment for Persons with Disabilities in October 1992. Dr. Wehman received the VCU Distinguished Service Award in 2001 and was recognized as one of the 50 most influential special educators of the millennium by a national survey coordinated by the Remedial and Special Education journal (December 2000). Directs and oversees all projects of RRTC. Inge, K., Graham, C., Brookes-Lane, N., Wehman, P. & Griffin, C. (2018). Defining customized employment as an evidence-based practice: The results of a focus group study. Journal of Vocational Rehabilitation, 48(2), 155-166. Dillard, C., Ditchman, N., Nersessova, K., Foster, N., Wehman, P., West, M. & Neblett, J. (2017). Post-concussion symptoms in mild traumatic brain injury: Findings from a pediatric outpatient clinic. Disability and Rehabilitation, 39(6), 544-550. Wehman, P., Schall, C., McDonough, J., Graham, C., Brooke, V., Riehle, E., Brooke, A., Ham, W., Lau, S., Allen, J. & Avellone, L. (2017). Effects of an employer-based intervention on employment outcomes for youth with significant support needs due to autism. Autism, 21(3), 276–290. Kaya, C., Chan, D., Rumrill, P., Hartman, E., Wehman, P., Iwanga, K., Pai, C. & Avellone, L. (2016). Vocational rehabilitation services and competitive employment for transition-age youth with autism spectrum disorders. Journal of Vocational Rehabilitation, 45(1), 73-83. Schall, C., Wehman, P., Brooke, V., Graham, C., McDonough, J., Brooke, A., Ham, W., Rounds, R., Lau, S. & Allen, J. (2015). Employment Interventions for Individuals with ASD: The Relative Efficacy of Supported Employment With or Without Prior Project SEARCH Training. Journal of Autism and Developmental Disorders, 45(12), 3990–4001. Revell, G., Wehman, P., Seward, H., Inge, K. & Cimera, R. (2015). Employment outcomes for individuals with spinal cord injuries: 2011 - 2013. Journal of Vocational Rehabilitation, 42(1), 85–96. Rumrill, P., Wehman, P., Cimera, R., Dillard, C. & Chan, D. (2015). Vocational rehabilitation services and outcomes for transition-age youth with traumatic brain injuries. Journal of Head Trauma Rehabilitation, 31(4), 288-295. West, M., Targett, P., Wehman, P., Cifu, G. & Davis, J. (2015). Separation from supported employment: a retrospective chart review study. Disability and Rehabilitation, 37(12), 1055-1059. Wehman, P., Sima, A., Ketchum, J., West, M., Chan, F. & Luecking, R. (2015). Predictors of Successful Transition from School to Employment for Youth with Disabilities. Journal of Occupational Rehabilitation, 25(2), 323-334. Wehman, P., Chan, F., Ditchman, N. & Kang, H. (2014). Effect of supported employment on vocational rehabilitation outcomes of transition-age youth with intellectual and developmental disabilities: A case control study. Intellectual and Developmental Disabilities, 52(4), 296-310. Wehman, P., Schall, C., McDonough, J., Kregel, J., Brooke, V., Brooke, A., Ham, W., Graham, C., Riehle, E., Collins, H. & Thiss, W. (2014). Competitive Employment for Youth with Autism Spectrum Disorders: Early Results from a Randomized Clinical Trial. Journal of Autism and Developmental Disorders, 44(3), 487–500. Wehman, P., Schall, C., Carr, S., Targett, P., West, M. & Cifu, G. (2014). Transition From School to Adulthood for Youth With Autism Spectrum Disorder. Journal of Disability Policy Studies, 25(1), 30-40. Wehman, P., Chen, C., West, M. & Cifu, D. (2014). Transition planning for youth with traumatic brain injury: Findings from the National Longitudinal Transition Survey-2. NeuroRehabilitation, 34(2), 365-372. Targett, P., Wehman, P., West, M., Dillard, C. & Cifu, G. (2013). Promoting transition to adulthood for youth with physical disabilities and health impairments. Journal of Vocational Rehabilitation, 39, 229-239. Graham, C., Inge, K., Wehman, P., Murphy, K., Revell, G. & West, M. (2013). Moving employment research into practice: Knowledge and application of evidence-based practices by state vocational rehabilitation agency staff. Journal of Vocational Rehabilitation, 39(1), 75-81. Schall, C., McDonough, J., Molinelli, A., Riehle, E., Ham, W., Thiss, W. & Wehman, P. (2012). Project SEARCH for Youth With Autism Spectrum Disorders: Increasing Competitive Employment On Transition from High School. Journal of Positive Behavior Interventions, 0, . Wehman, P. (2012). Editorial - Journal of Vocational Rehabilitation, vol. 36, no. 1. Journal of Vocational Rehabilitation, 36(1), 1. Wehman, P. (2012). Supported Employment: What is it?. , 0, . Schall, C., Wehman, P. & McDonough, J. (2012). Transition from school to work for students with ASD; Understanding the process and achieving better outcomes. Pediatric Clinics of North America, 29(1), 189-202. Cimera, R., Wehman, P., West, M. & Burgess, S. (2012). Do Sheltered Workshops Enhance Employment Outcomes for Adults with Autism Spectrum Disorder?. Autism, 16(1), 87-94. Wehman, P. (2012). Transition from School to Work: Where are we and where do we need to go?. Career Development for Exceptional Individuals, 0, . Ireys, H. & Wehman, P. (2011). The Evaluation of the Demonstration to Maintain Independence and Employment. JVR, 34(2), 67-69. Wehman, P. (2011). JVR 20th Anniversary- Editor’s Introduction. Journal of Vocational Rehabilitation, 35(3), 143. Hendricks, D. & Wehman, P. (2009). Transition from school to adulthood for youth with autism: Review and recommendations. Focus on Autism and Developmental Disabilities, 24(2), 77-89. Brooke, V., Revell, G. & Wehman, P. (2009). Quality indicators for competitive employment outcomes: What special education teachers need to know in transition planning. Teaching Exceptional Children, 41(4), 58-66. Arango-Lasprilla, J., Ketchum, J., Flores Stevens, L., Balcazar, F., Wehman, P., Forster, L. & Hsu, N. (2009). Ethnicity/Racial difference in employment outcomes following Spinal Cord Injury. NeuroRehabilitation, 24(1), 37 - 46. Wehman, P., Gentry, T., West, M. & Arango-Lasprilla, J. (2009). Community integration: current issues in assistive technology and vocational rehabilitation for individuals with TBI. Journal of Rehabilitation Research and Development, 46(6), 1-10. Arango-Lasprilla, J., Ketchum, J., Williams, K., Kreutzer, J., Marquez de la Plata, C., O’Neil-Pirozzi, T. & Wehman, P. (2008). Racial differences in employment outcomes after traumatic brain injury. Archives of Physical Medicine & Rehabilitation, 89(5), 988-995. West, M., Targett, P., Crockatt, S. & Wehman, P. (2012). Return to Work Following Traumatic Brain Injury. , : . Wehman, P. (2012). Life Beyond the Classroom: Transition Strategies for Young Adults with Disabilities (New 5th Edition). Baltimore, MD: Brookes Publishing. Wehman, P. & Kregel, J. (2012). Functional Curriculum for Elementary, Middle, and Secondary Age Students with Special Needs (3rd edition). Austin, TX: Pro-Ed. Wehman, P. (2011). Essentials of Transition Planning. Baltimore, MD: Paul Brookes Publishing, Co..
Thoma, C. & Wehman, P. (2010). Getting the Most Out of IEPs. Baltimore, MD: Brookes Publishing Co..
Wehman, P., Datlow Smith, M. & Schall, C. (2009). Autism and the Transition to Adulthood: Success beyond the classroom. Baltimore, MD: Brookes Publishing. Getzel, L. & Wehman, P. (2005). Going to College: Expanding Opportunities for People with Disabilities. Baltimore, MD: Paul H. Brookes. Wehman, P., Targett, P., Schall, C. & Carr, S. (2014). Meaningful employment for individuals with autism spectrum disorders. In Tancani, M., Bondy, A., Autism spectrum disorders in adolescents and adults: Evidence-based and promising interventions (pp. 237-264). , : . Schall, C., Wehman, P. & Carr, S. (2014). Transition from high school to adulthood for young adults with ASD. In Volkmar, F., Reichow, B. & McPartland, J. (pp. 41-60). , : . Hendricks, D., Smith, M. & Wehman, P. (2009). Teaching youth for success: From classroom to community. In Wehman, P., Datlow Smith, M. & Schall, C. Autism and the Transition to Adulthood: Success beyond the classroom (pp. 109-136). Baltimore, MD: Brookes Publishing.